Utilizing the most advanced technology and recommending the latest products, Dr. Barbara Manion and Dr. Jessica Yu treat and manage a spectrum of vision and eye health conditions. Dr. Manion is a graduate of the SUNY College of Optometry and completed her residency at Montefiore Hospital in New York City. Following her residency she spent 17 years working with a renowned cataract surgeon and a forerunner in the field of vision training. She was the head contact lens practitioner, fitting difficult prescriptions and irregular corneas. Through diligent attention to the latest advancements in this area of eye care, she promoted the contact lens practice to be among the leaders in Manhattan. During this time she was also a research investigator in studies pertaining to intraocular lens implants and vision training advancements. Dr. Manion was on staff at Beth Israel Hospital where her responsibilities included contact lens fitting, treating ocular pathology, pre and post-operative cataract and Lasik treatment, and routine eye exams. In 2003 Dr. Manion founded Westport Eyecare Associates after the passing of the much beloved Dr. Robert Ross. With her extensive past medical experience, the practice has grown tremendously. Dr. Manion specializes in the fitting of contact lenses, especially multifocal contacts, the treatment of surgical, pathological and dry eye cases and the thorough and caring examination of all age groups. With the addition of Dr. Yu as partner, the practice has continued to flourish, serving patients throughout Fairfield County and the tristate area. Dr. Manion has been featured on News 12 for her technologically advanced practice. She has lectured extensively to a variety of audiences on the topics of cataract surgery, Lasik surgery and contact lenses. 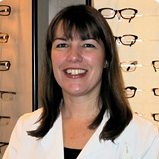 She is a member of the American Optometric Association and the Connecticut Association of Optometrists. She has received multiple awards for recognition of her involvement in continuing education programs. In 2014 Dr. Manion was appointed the high honor of “Diplomate of the American Board of Optometry”, requiring a rigorous testing and qualification process. Dr. Manion and her husband have lived in Connecticut for 23 years where she is involved in multiple community projects. She cherishes her time with her 2 sons and enjoys boating, skiing, traveling, and music. Dr. Manion looks forward to meeting you in our beautiful new office. Dr. Yu graduated from the SUNY College of Optometry in New York, and then furthered her training by completing a Fellowship in Cornea and Contact Lenses. She subsequently worked with one of the leading ophthalmologists in Manhattan specializing in LASIK and PRK, and served as Clinical Instructor to optometry students and residents at the College. In conjunction with the Contact Lens Research Group, Dr. Yu was the principal investigator in designing and conducting a clinical research study on the subject of Keratoconus. She has published multiple articles in peer-reviewed journals on the subject, and on fitting contact lenses for irregular corneas after refractive surgery. In addition to providing full-scope comprehensive eye care with treatment and management of red eye infections, cataracts, macular degeneration, and glaucoma, Dr. Yu is a dedicated cornea and contact lens specialist. She fits all types of soft contact lenses, along with more complex fits and anterior segment cases. These include high prescriptions, astigmatism and multi-focal contacts, as well as more challenging fits for dry eye, keratoconus, Pellucid marginal degeneration, post-LASIK irregularities, pediatric aphakia, customized cosmetic lenses for anterior segment deformities, and ocular prostheses. Dr. Yu utilizes a full spectrum of custom soft lenses, hard/rigid gas permeable lenses, hybrid lenses, mini-sclerals, and scleral lenses. Dr. Yu is a strong advocate for myopia control, and is certified to fit overnight orthokeratology (corneal refractive therapy) and corneal reshaping contact lenses. With this FDA-approved technique, proper fitting and management of these lenses can help to reduce the progression of near-sightedness and control prescription increases in children and teenagers. Along with being fully committed as a partner of Westport Eyecare Associates, Dr. Yu serves on faculty at New York Eye and Ear Infirmary of Mt. Sinai, where she instructs ophthalmology residents, teaches specialty contact lens fittings, and provides direct patient care. She is a consultant for Alcon, and has also given a variety of presentations and lectures. 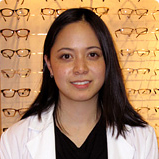 Furthermore, Dr. Yu is a Fellow of the American Academy of Optometry, and a member of the American Optometric Association and the Connecticut Association of Optometrists. Dr. Yu is a native of Connecticut, and feels privileged to be serving Westport, the greater Fairfield County communities, and beyond. Besides being a food and travel aficionado, she loves snorkeling, yoga, reading and writing, and is an avid motor sports enthusiast. See how we can meet your vision needs! © 2016 Westport Eyecare Associates. All rights reserved.